In the morning : visit château Vaudieu of XVIII century in middle of vineyards, a viticultural domaine of 70 hectares. Then we continue to “Plan de Dieu”, well known for its “Côtes du Rhône”. Lunch: we will be received by the Chef – Cyril, proud of his work with local seasonal produce of Provence and his sommelier who loves to share his passion of “Cotes du Rhone” wines. The village de Seguret, on the list of “the most beautiful villages in France”. Follow its cobbled streets (sloping and paved with small stones), stroll in the shade of its old walls, time seems to stop here. Clinging to the hill, in a dominant position over the valley, it offers magnificent perspectives of the landscapes below. Built in the 10th century with its houses close to each inside the ramparts, to gain the security in these agitated periods, it derived its name from the word Provençal “segur” (“securitas” in Latin). Then we will stop in Vacqueyras in a family vineyard and do a wine tasting of 3 Grand Cru with the opportunity to meet a small producer. Provencal market, a cup of coffee on a terrace, buy bread and food in the market, cooking class and pétanque (a Provencal ball game) for digestion! 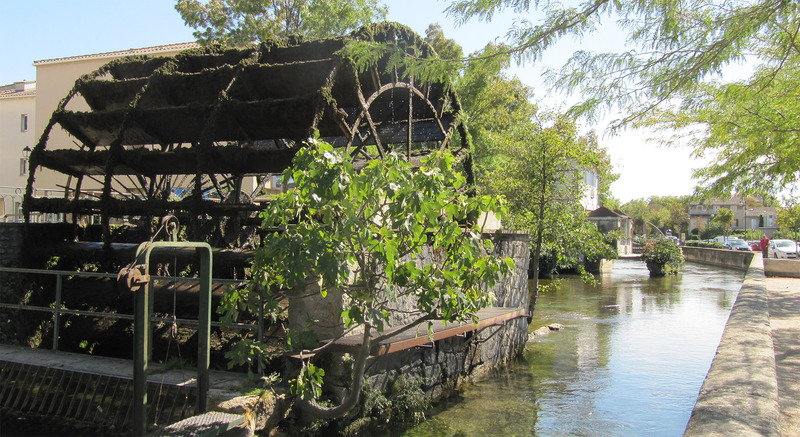 Visit L’ Isle-sur-la-Sorgue with a tour guide… poetry, ready-made clothes, history…. In the morning: We will leave with our chef “Alain” to discover a small Provencal market. We will start by having a coffee and croissant in the shade or in the sunshine on a beautiful Provençal terrace where we will meet our chef. Then while strolling in the market, we will buy all the vegetables, fruit and fish/meat needed for the cooking class. After our group work, we will have the pleasure of tasting our dishes, accompanied with selected wines for you. Afternoon, private tour with a guide to l’Isle sur Sorgues, a city of antique dealers. Make a poem at your own rhythm walking on the banks of the Sorgues river. A small drink on a terrace as we do in Provence before leaving! Visit a distillery and have lunch at a Ducasse restaurant! 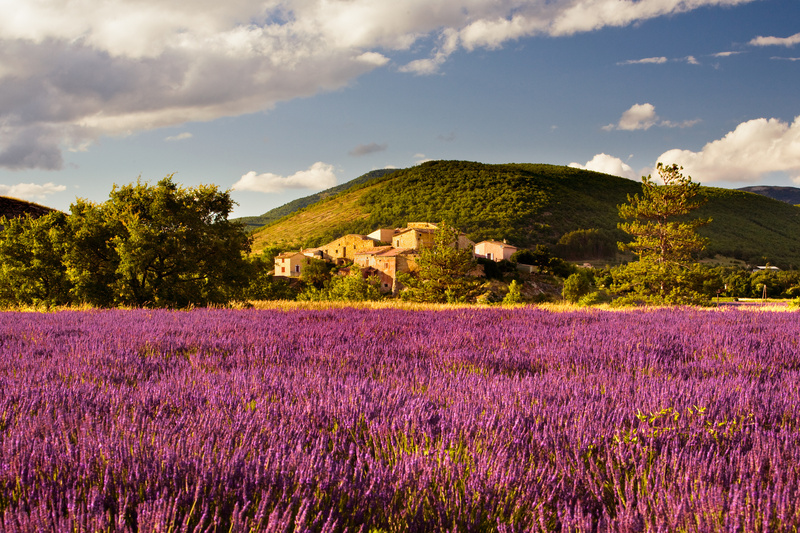 Morning: depart to the valley of Valensole diving into the “ocean of lavender”. Follow by a visit to a distillery where we will learn how to produce lavender essential oil. Lunch: in one of Alain DUCASSE’s restaurants, La Bastide de Moustiers. Surrounded by lavender and olive trees. 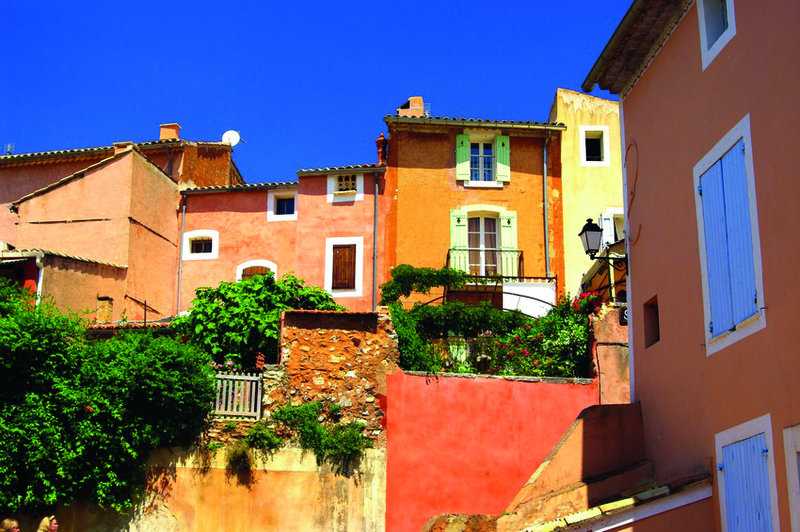 Mediterrean cuisine interpreted by a local chef … all the charms of Provence! On the way back you will have a guided visit to the famous cosmetic factory L’Occitane museum in Manosque. A lovely gift is waiting for you at the end of day! Walk from the Chateau de Lacoste to the village down the narrow cobbled streets. A5 – One day in Les Alpilles along with songs of cicadas ! Olives, on the Van Gogh road, Medieval castles, cicadas & lovely Provencal market ! We will reserve one of the best tables of Les Alpilles for your lunch. 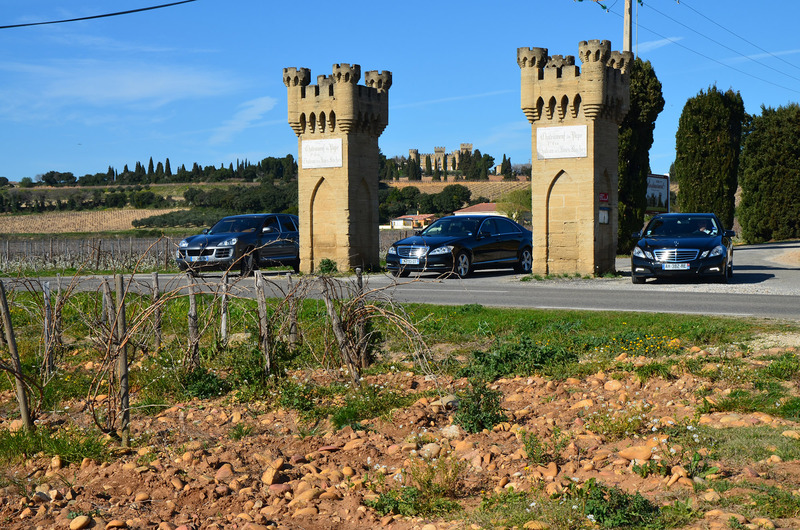 We will be received by Chateau Estoublon for an olive oil and wine tasting. 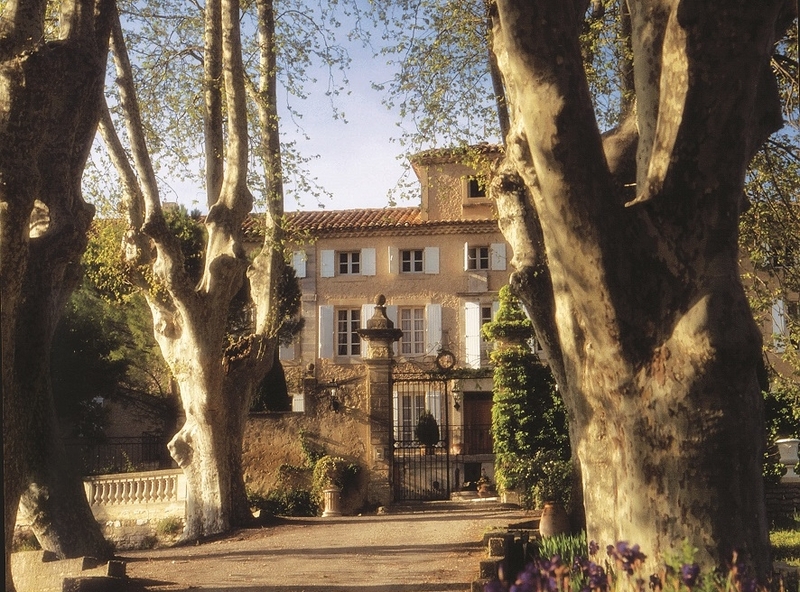 Visit St Remy de Provence and St Paul de Mausolea where Van Gogh spent one very creative year. 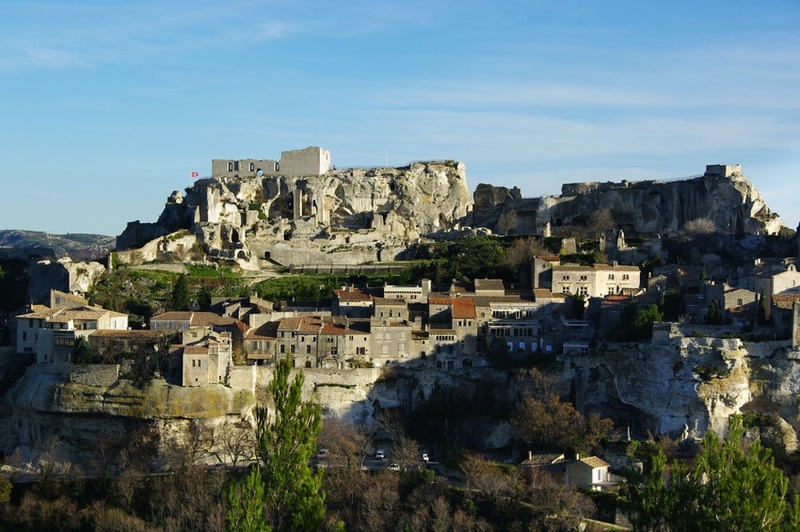 Discover the village of Baux de Provence, situated in the heart of Les Alpilles on a rocky plateau. It dominates an exceptional landscape on Arles, Camargue and Les Alpilles offering you a breathtaking panoramic view. The village is one of “The most beautiful villages of France”. Depending on the day, we can stop at a local Provencal market in Bedoin, Carpentras or Caromb, or even a stop at Chateau du Barroux. Then we will be received by Chateau du Ventoux for a guided visit and a tasting of 5 wines. Picnic with local products in the Chateau’s garden, and with the vineyard’s wines. Then we head to the direction of the rolling mountains of Montmirail to discover the charm of the village of Gigondas. Wine tasting in a small local wine maker of famous “Grand Cru” of Cote du Rhone. Let your sensations guide you, create your own wine and perfume. You will be received by a wine professional who will help you to uncover the mystery of wine making. You will then make up your ideal wine with the different typical grape varieties of the Rhone Valley. Every participant will use a bottle of pure wine of Grenache and one of Syrah, plus one bottle of assembled wine elevated in oak barrel of Grenache and Syrah. 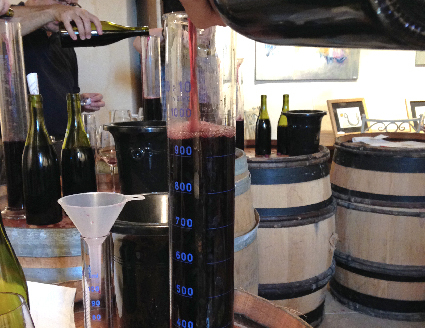 With a test-tub, everyone make his/her own wine “mixed” after many tastings (without limits). When you finish the assemblage, we will put your wine in a bottle for you. 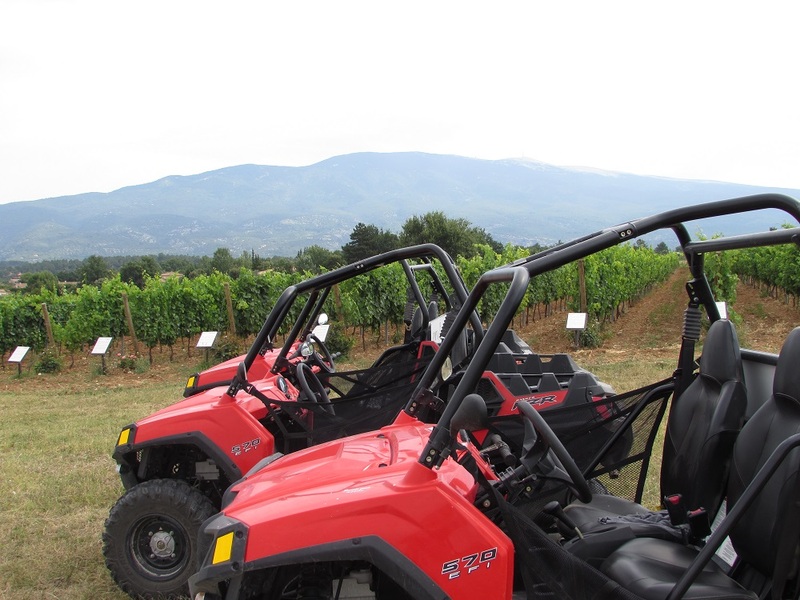 Visit the vineyards in a Buggy with a guide. Visit parcels of quality vines in a buggy, such as: Gigantis, Château Crillon as well as wineries at a higher altitude (of 400m, 450m and 500m) with a guide who will present you every part of this atypical visit, followed by a wine tasting of wines from vineyards you visited. A stop in front of a typical Provencal hut, pass to a parcel of vines with 23 different varieties of grapes… a wine tasting of 6 wines is waiting for you after the visit.